Most people wouldn’t dream of giving their child an antipsychotic drug if they didn’t absolutely need it. But a recent study published in the Journal of the American Medical Association’s JAMA Psychiatry shows children are being prescribed antipsychotic drugs for ADHD. Co-author of the study, Michael Schoenbaum says that a huge number of young boys have been receiving antipsychotic drugs for their ADHD. He stresses that other treatment options are readily available and underutilized. 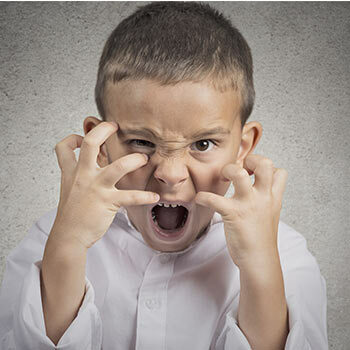 Behavioral therapy is one of the best ways to treat young children with a behavioral issue, including ADHD. Other drugs like Ritalin are also helpful in treating ADHD. Antipsychotic medications are meant to treat diseases like schizophrenia and bipolar disorder. Giving children these same medications for something like ADHD just doesn’t make sense. It leaves them vulnerable to the vast number of potential side effects and curbs their personality in their developmental years. Patients who require these antipsychotic medications report feeling like different people. These medications can cause weight gain, metabolic disorders and some can even affect brain development. While they are necessary in some circumstances, there are far better treatment options for children with ADHD. This means that children with ADHD are more vulnerable to oxidative damage caused by toxins and heavy metals. Increasing the antioxidant status of children with ADHD is crucial in order to protect against cellular damage which can lead to a myriad of health problems and impair cognitive development.